What I thought was my return to regular blogging in February turned out to be just a quick visit before I wandered off again. I thought I was ready, but the semester I just finished turned out to be a bit of a sleeper cell: innocent and calm, and then explosive. I had an odd schedule that turned out to be too fragmented to provide either a productive rhythm or any real respite from the work. But As a Linguist was never far from my mind, and though I didn’t quite have the mental stamina to devote to teaching, studying and writing, I knew I would return in a more meaningful way as soon as the semester ended. My work finally ended on Monday, 14 May. The next day, Buzz and I high-tailed it out of town and spent several days poking around upstate New York. Then I returned and started teaching my summer course on Monday, 21 May. Now that it’s up and running, I want to turn my attention to reviving my poor neglected corner of the blogosphere. It’s time to shake things up a bit, so there will probably be some changes in the next few weeks. I’ll be working out a schedule that will help me stay creative and productive, both for As a Linguist and A Modern Day Dinosaur. And it may be time for some cosmetic changes at long last! I’ve missed Blogland and am excited to get back in the game! So, my question to you is, do you have any suggestions for changes or topics you’d like to see? Hooray! You’re back. I’ve missed you and hoped you weren’t buried under an avalanche of papers to mark or worse. Suggestions? Not really. I think bloggers are best when they follow their own inclinations. When you’ve got something to say, you know it. Thanks Margaret! I’ve missed everyone a lot. There was definitely a lot of grading but also tons of reading, and I’m not used to reading legal writing, so it took me longer to get through cases than it would for me to get through regular old textbook reading. My schedule left me with three days off but none of them were consecutive, so they defaulted into planning/grading days (unpaid work days, in other words!) And by the time Sunday came around, I was pretty much shot when it came to any mental exertion. Weird intercontinental ESP…another sign of being separated at birth :) I’ve been thinking of you in England and hope you’re doing well in your new place! It’s good to see you back to writing, Leonore. I’m finding it hard to stay on top of the reading. Rest assured – if you write it, I will read it. You’re sweet! And right back atcha, too – I always read your new posts. I’ve been using Google Reader to help me stay caught up. I somehow find that easier than the email notifications. But it’s hard – there’s so many things I want to read! Leonore! It is SO good to see you back – I’ve missed you and been wondering how everything was going! 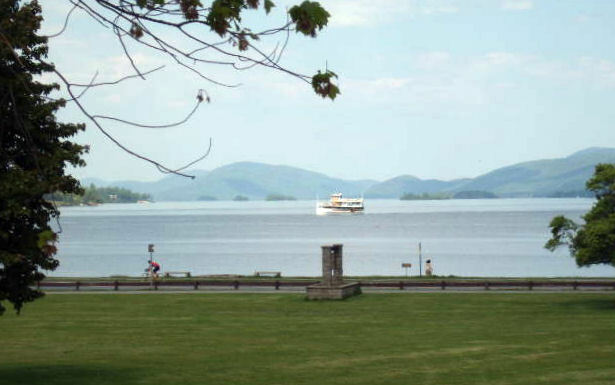 Glad you got to spend some time at Lake George, and will get to relax/write this summer. Hey Jules! Thanks :) I love the new gravatar :) Thanks for filling me in. I didn’t realize Monkey was already old enough for a Bar Mitzvah. I like the changes to your site and I love the new name. I was managing to get over there pretty often (it’s just such a fun site!) but have been as terrible about commenting as I have been about writing. And I somehow missed the slap bracelet extravaganza! Definitely have more time for relaxing and writing this summer, even if there is 6 more weeks of grading for my summer class. Le sigh. Hi Leonore! I hope you and the furry girls have been well. Good to see you back! Since you asked . . . maybe if you find that your schedule does not allow you to blog as often as you might want to, you might consider “running” repeats of your “fave” posts — just like they do with segments of NPR during holidays.